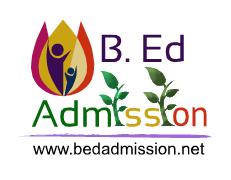 B Ed Admission is No.1 educational consultant for the admission in B.Ed Regular Course from MDU Rohtak, KUK Kurukshetra, CRSU Jind, DCRUST Murtal Haryana. We think investigating and buying a franchise should be the same. Our moto is to provide the best service in the industry and to help all those students who are looking for admission in B.Ed Regular Course. Due to our clear vision we have a 100% customer satisfaction record till date. Are you ready to explore B Ed Admission franchise ownership? Please complete the form below to contact us. Let us know how to reach you and we'll respond as soon as possible. To apply for a franchise for B Ed Admission, you have to pay an application fee which is ₹2700. The application fee is used to assess and verify that you are a genuine Franchise enquiry. This amount will be adjusted in your franchise fee later on.